Israeli jets struck a Syrian military target and a Hezbollah weapons convoy early Wednesday, Arabic-language media reported Wednesday morning. Israeli warplanes struck the military target in the Syrian capital of Damascus, while the raid on the weapons convoy occurred on the Damascus-Beirut highway, according to the reports. As with past claims of Israeli strikes, Israel did not immediately confirm or deny news of the purported attacks. 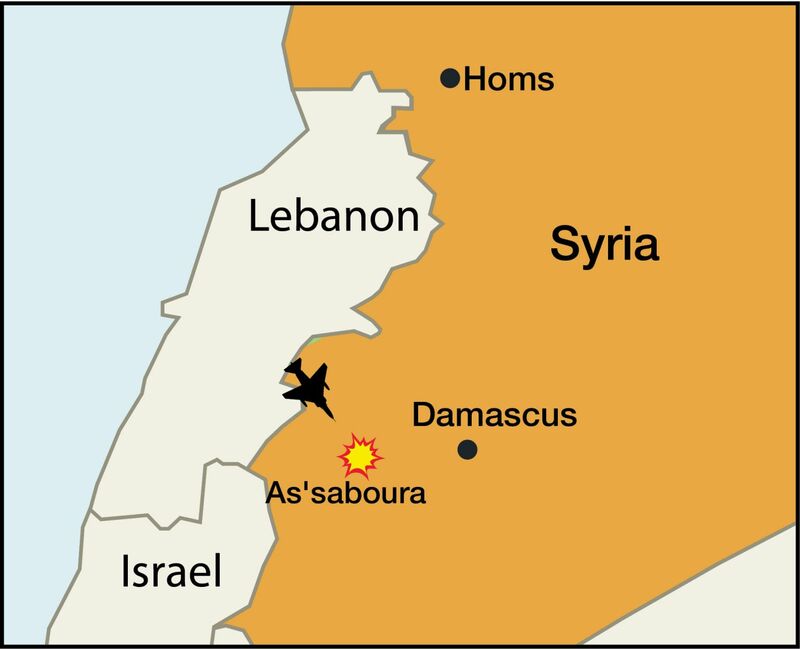 Since the start of the Syrian civil war in March 2011, a number of airstrikes in Syria or close to the border with Lebanon have been attributed to Israel. News agencies affiliated with the regime of Syrian President Bashar Assad said the air raid on the military compound occurred at 1:15 a.m. local time and that four large explosions were heard in the capital. They further reported that the strikes were carried out by Israeli Air Force planes operating in Lebanese air space. According to the Kuwaiti news network al-Rai, the warplanes also struck a number of vehicles traveling on the main highway believed to have been part of a weapons convoy led by Hezbollah. Hezbollah has thousands of fighters in Syria, providing military aid to Assad regime and Iranian forces. In April, Prime Minister Benjamin Netanyahu confirmed that Israel had carried out dozens of strikes against Hezbollah to prevent the group from obtaining advanced weapons — a rare Israeli admission. Israel has vowed to prevent Hezbollah from obtaining “game-changing” arms — in particular advanced anti-aircraft systems and chemical weapons. 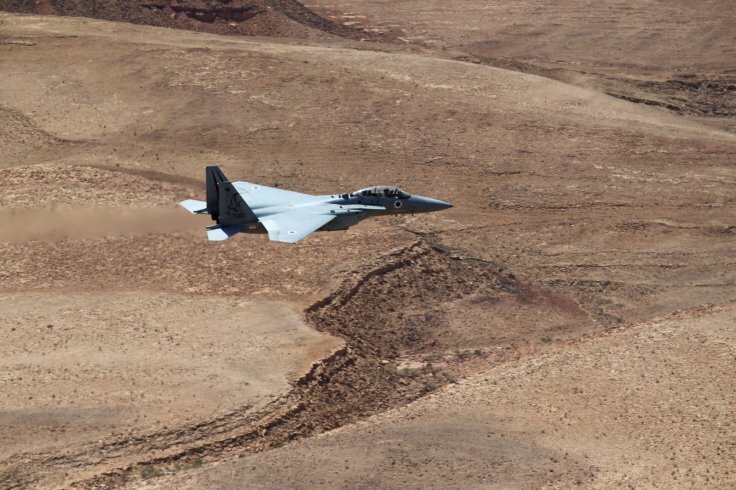 Earlier this week, the Israeli Air Force struck a military target belonging to the Islamic State terror group on the Syrian side of the southern Golan Heights. The raid early Monday was the second Israeli airstrike to respond to an attack a day earlier by IS fighters against IDF soldiers. According to an army spokesperson, soldiers from the Golani Brigade’s reconnaissance unit came under attack from small arms fire after crossing the security fence on the border but remaining inside Israeli territory. They returned fire, but soon came under attack from mortar shells. No Israeli soldiers were injured in the exchange, the army said. The IDF responded with an airstrike that morning that killed four members of an Islamic State-affiliated terror group that it said had launched the attack. The military said the second airstrike Monday was also in response to the initial attack. The IDF “will not hesitate to act against terror groups that operate against the State of Israel,” a military statement read. 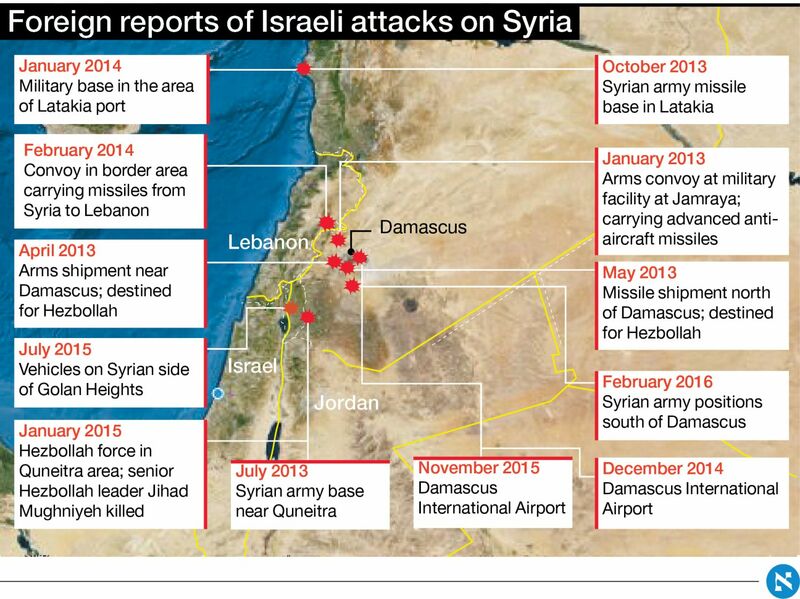 The Syrian Golan has been the site of intense fighting in recent years between Assad regime forces and the IS-affiliated Jabhat Fateh al-Sham, though the front on the border with Israel has been relatively quiet in recent months after previous intense bouts of violence. Israeli officials fear Hezbollah and Iran’s al-Quds Force, which are allied with Assad, are aiming to use the area to open a new front against Israel in a future conflict. Since March 2011, when the Syrian conflict began, dozens of mortar shells have landed in Israeli territory as a result of accidental spillover from the fighting. The IDF often responds to fire that crosses into Israel by striking Syrian army posts. Israel maintains a policy of holding Damascus responsible for all fire from Syria into Israel regardless of the source.